We were honoured to work directly with Annabel Elliot to realize The Prince of Wales' new shop and café at the famed Duchy Nursery in Lostwithiel, Cornwall. 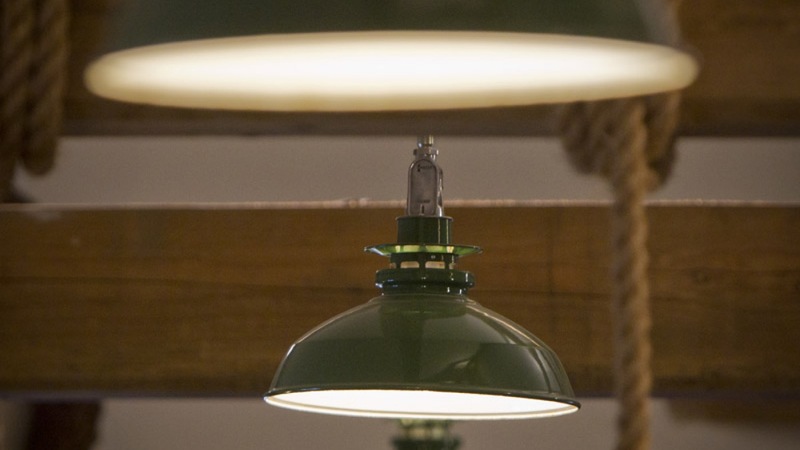 A mixture of our giant hanger shades salvaged from Heathrow airport and vintage English factory shades illuminate the retail area with a further array of pendants detailed to illuminate the servery and accompanying seated areas within the café. The products fit nicely with the sustainable ethos of the new distinctive timber-framed, stone and cob building, constructed using local skills and natural materials.